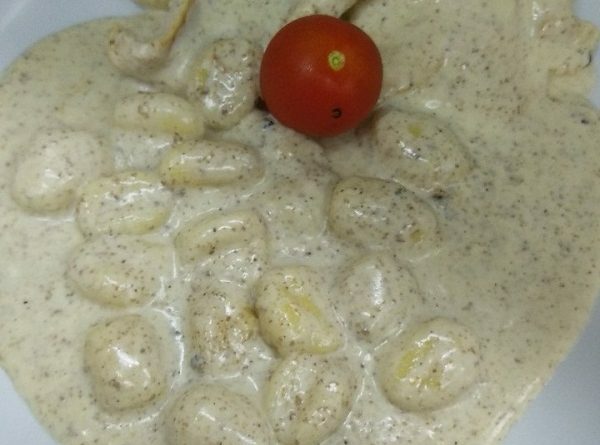 This is a quick and easy keto gnocchi recipe with mushroom sauce. How to make gnocchi you’ll read at the link up. Add mushrooms to oil and sauté until mushrooms have reduced in size, about 4 minutes. If the mushrooms soak up all the olive oil, add another teaspoon. Add garlic, salt and pepper and stir to combine. Cook until garlic is fragrant and mushrooms have released some additional liquid, about one minute. Bring sauce to a simmer and cook about 10 minutes. Remove sauce from heat and stir in gnocchi.